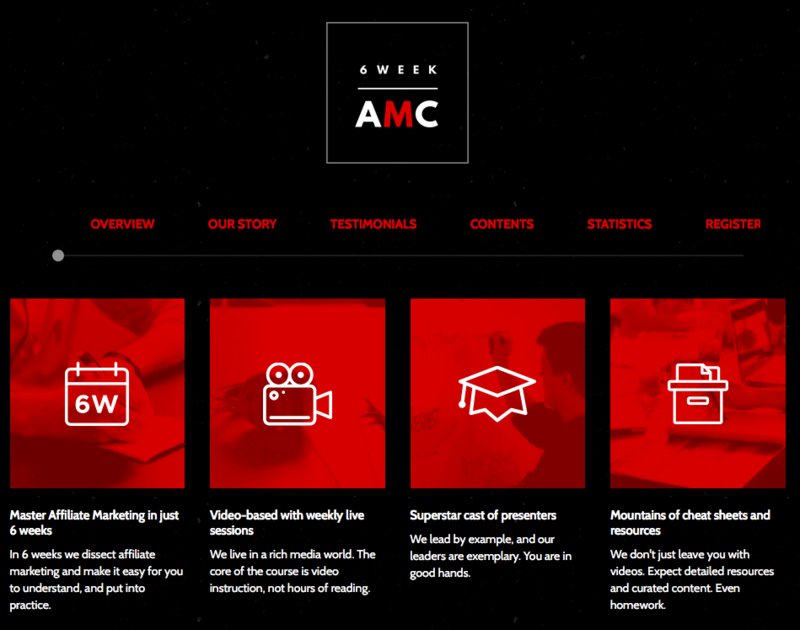 As a 6 Week AMC participant you get streamlined entry into traffic sources and affiliate networks, as well as prioritised support and approvals. Day 1: Introduction to course, AMC platform, sponsors and platforms we will be using. Day 2: Ads and user intent. Day 3: Verticals and offer types. Compliance in verticals. Day 4: Bidding modes and commission models. 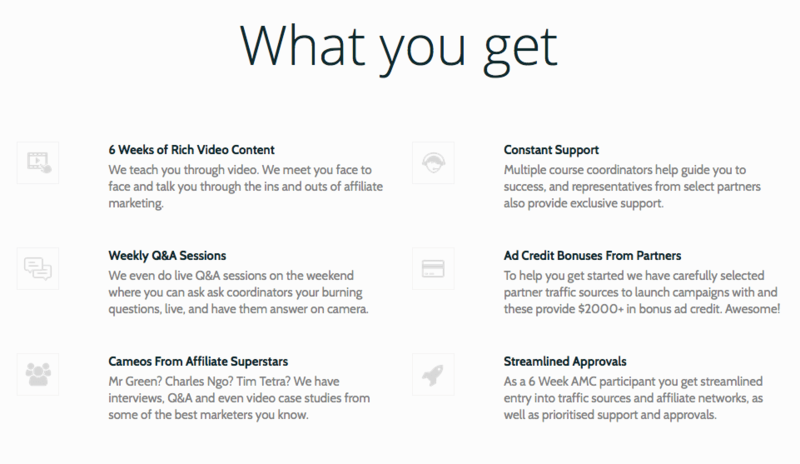 Day 5: The affiliate marketer’s tool kit. Day 1: Challenges you will face in AM. Day 2: Introduction to mobile marketing and DSPs. Day 3: Split-testing and tracking, setting up a server with a tracker. Day 4: Introduction to funnels, lead quality and the role of landing pages. Day 5: Compliance and ethics in AM. Day 1: Launching campaigns on a mobile DSP. Day 2: Understanding your market. Day 3: The art of converting. Day 4: The mathematics of affiliate marketing and lead generation. Day 5: Introduction to lander creation and hosting. Day 1: How to analyse advertisement and campaign performance. Day 2: Elements of your campaign to test. Day 3: Confounding variables and what affects your campaign performance. Day 5: The science of AM. Day 1: Introduction to Facebook. Day 3: How to better understand your market and sell to them. Day 4: Remarketing and squeezing more out of campaigns. Day 5: Launching a Facebook campaign – a full walkthrough. Day 1: Click loss and why you should split-test networks. Day 2: Brainstorming, research and creativity. Day 3: Productivity techniques and time-management. Day 4: Other traffic sources and emerging markets. Day 5: Where internet marketing is heading. The first 6 Week AMC was a pioneer. Super affiliates were created, lives were changed and the bar was raised. Participant revenue and profitability went up across the board and their understanding of critical concepts was massively improved.